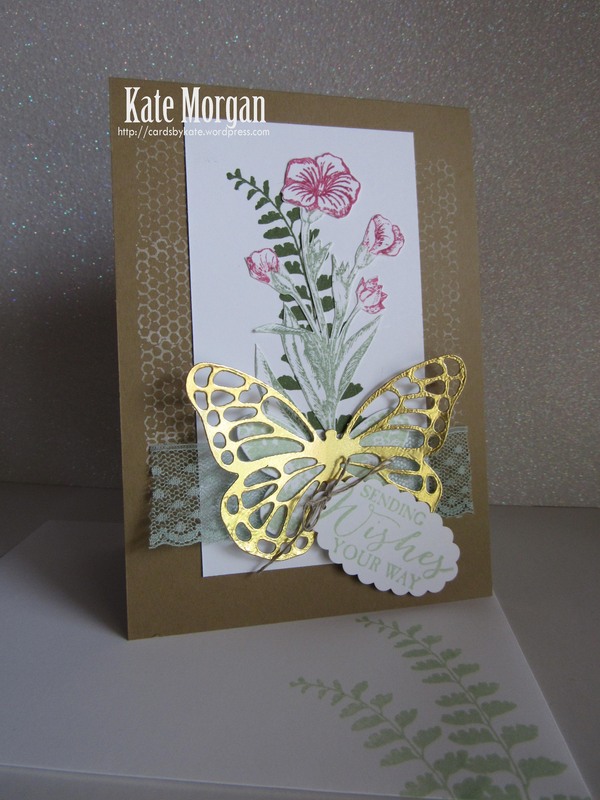 Today I share a card that I have CASE’d from the Catalogue on pg 124 using the Butterfly Basics Bundle. 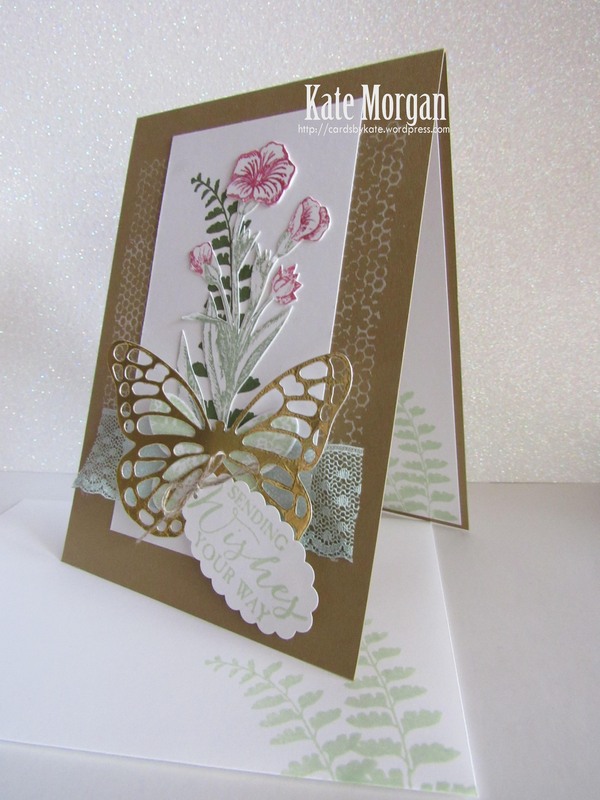 I just love this bundle which has the gorgeous stamp set and the coordinating Butterfly Framelits to die cut the butterfly. 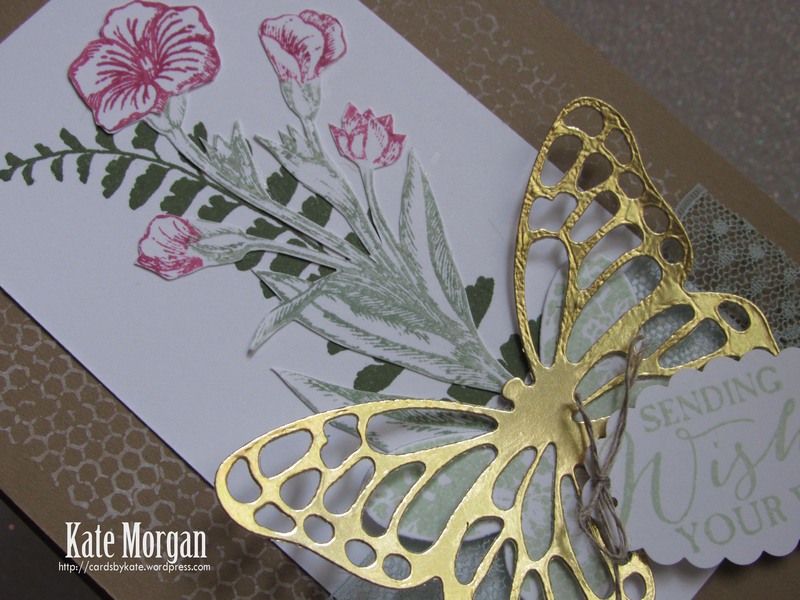 How good does that butterfly look die cut in the gold foil sheet?!!!! Don’t forget to decorate the inside panel of your card and even the envelope! Tagged Butterfly Basics, Butterfly Framelits, CASEing the Catalogue, Feminine Handmade Card, Stampin' Up!